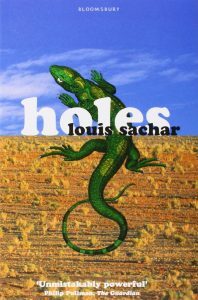 We have finished reading Holes by Louis Sachar. While reading this book we developed our comprehension, reading and listening skills. To celebrate our success we watched the movie adaption of the book. It was a fantastic film, very true to the book and it had lots of action and funny parts. UNICEF is a charity which helps children fight Malnutrition. They provide Malnurished children with all the good food they need to grow strong and healthy. Malnutrition is caused when a child doesn’t get enough of the right food it needs to grow strong and healthy. Malnutrition can also cause growth problems and can also sometimes lead to death. Why is Malnutrition so dangerous? Malnutrition is dangerous because it can cause many sicknesses and health problems which can lead to the child dying or it can lead to the child having a bad future. You can help stop malnutrition by donating to UNICEF and by also not wasting food. Day for change is on Friday the 26th of May 2017. The activities will take place at the Riverbank school Gym Hall and there, there will be cake stalls, nail painting, face painting and many more stalls. All the money raised there will be going to the UNICEF charity for all the malnourished children across the world. 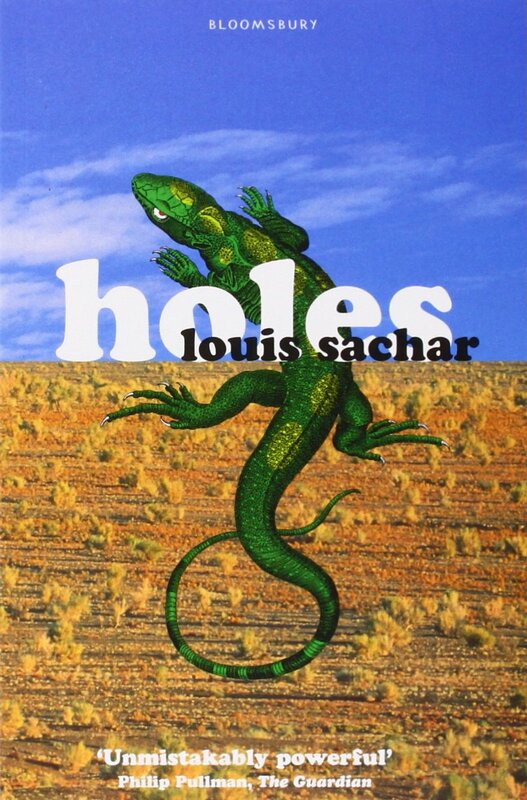 Holes is a book where is three stories in one.One is about Stanley second is about Kissing Kate Barlow and third one is about no-good-dirty-rotten-pig-stealing-great-great-grandfather. One time Stanley was walking under a bridge and someone throws a pair of shoes to his head. Those shoes was from charity.Stanley runned to show them to his dad.They arrested him and they gived his a choice to go to prisons or go to Camp Green Lake.Stanley picked Camp Green Lake.It was a lot worse than it sounded.It was desert!! Every day he had to dig five feet wide and five feet deep. After Some weeks Stanley was accepted to the group by getting a nick name Caveman.Now in the group there were Stanley Magnet, Squid,Zero and X-Ray.Once Mr.Sir almost died by an red nail polish with rattle snakes poison in it. Stanley teaches Zero the alphabet and to write his name.After a chapter everyone knew that Zeros real name is Hector Zeroni and that he is not stupid he just don’t like answering questions…. 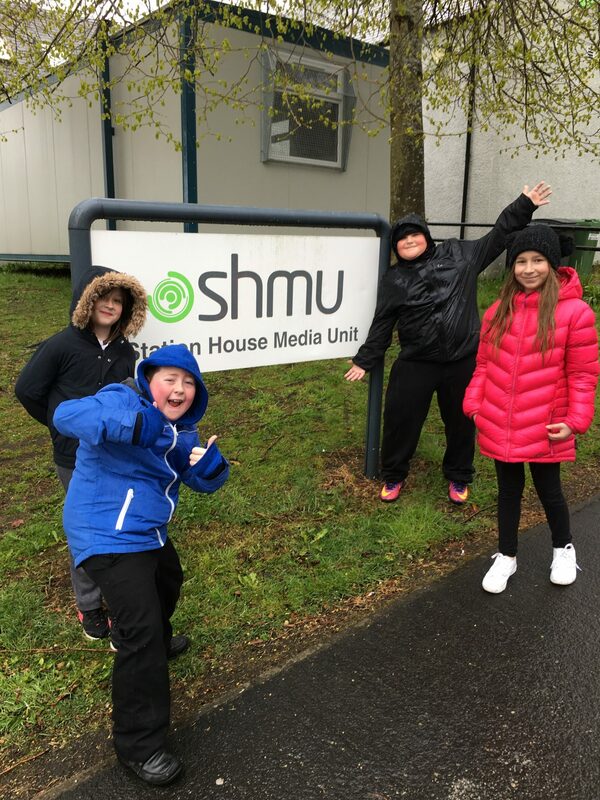 This term primary 6/7a have reviewed their class charter and included three important words. If each of us (adults included!) can show these three behaviours then we are doing fantastically. Respect is a very good thing because it makes people feel good about themselves. It also means that you will get respect back if you show it. Respect doesn’t cost anything and everyone deserves it! 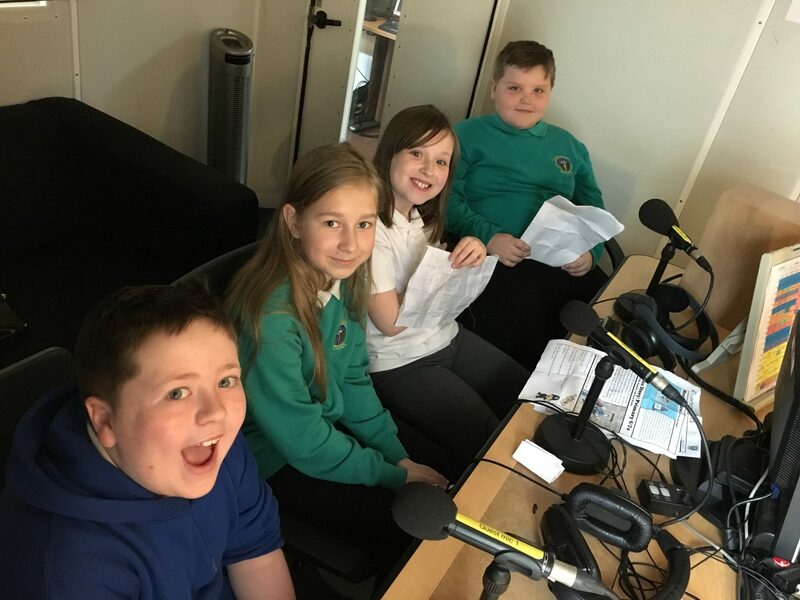 We even got to choose the songs that were played live on the radio! Hopefully we will be able to visit again before the Summer holidays. 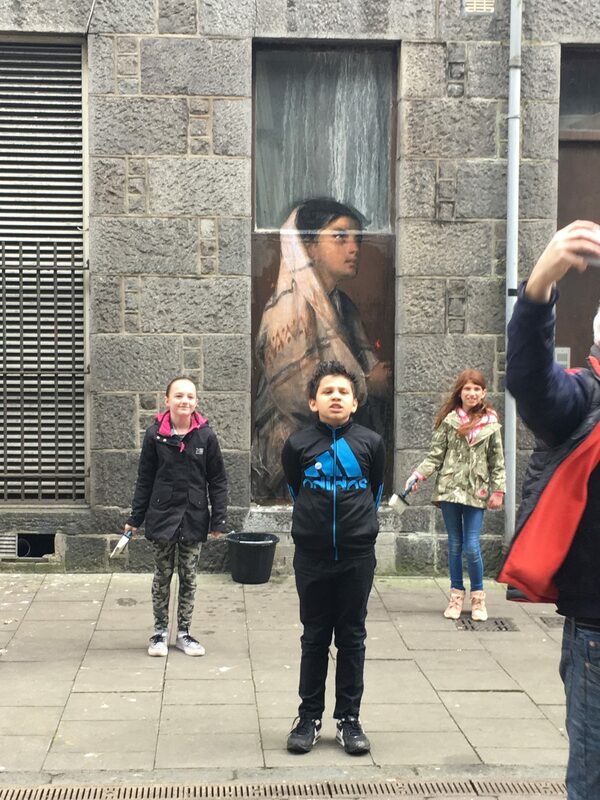 Three of us, along with Miss Rowley and Mrs Gilchrest, met Julian de Casabianca as part of the Aberdeen NUART festival this Easter. We went on a long walk around the city centre where there were lots of street artists creating interesting art on the walls. We looked at work by other artists while hunting out places to put our own. These are really big print outs of two of the photos we took at the Aberdeen Treasure Hub. 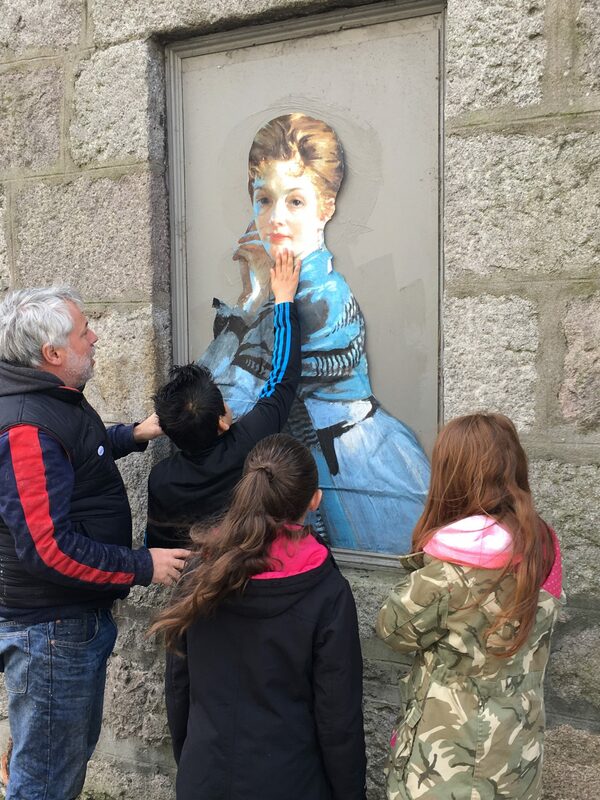 They’ve escaped from the gallery and can now be seen and enjoyed by everyone in Aberdeen! Before the Easter break we went on a trip to the Aberdeen Treasure Hub to look at the artwork stored there. 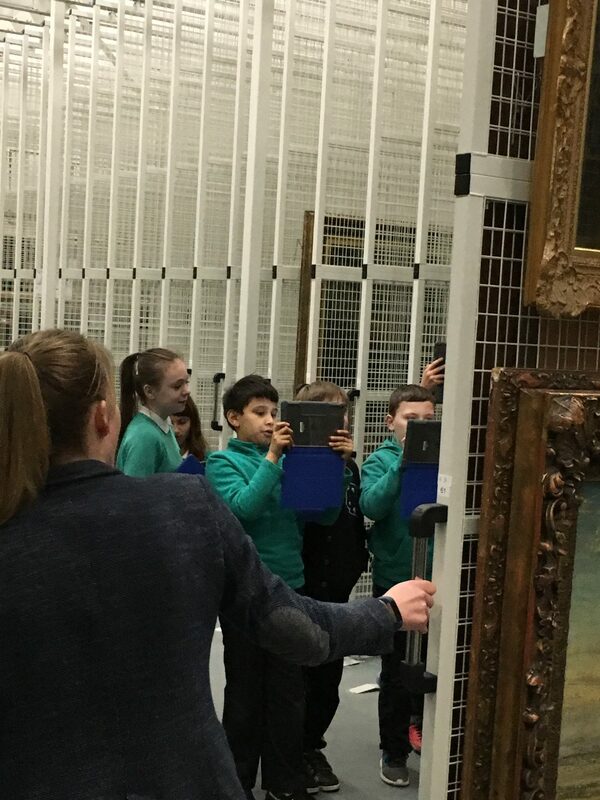 We took I-pads and photographed characters in the paintings. These photographs have been sent to the artist Julian de Casablanca and he is going to pick his favourites!